Dangers: WARNING: RECENT RESEARCH INDICATES CERTAIN COMPOUNDS IN DODDER CAN CAUSE DAMAGE OVER TIME. I NO LONGER RECCOMEND EATING THIS PLANT!! Dodder covering plants along Spring creek. 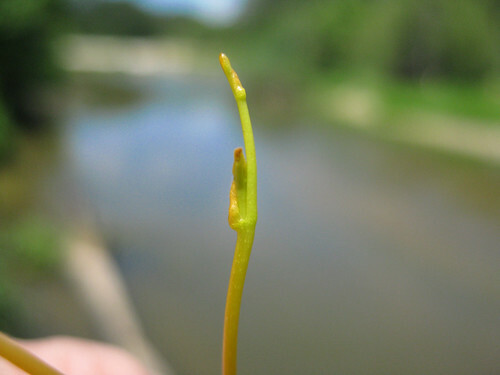 Close-up of dodder vine tip. 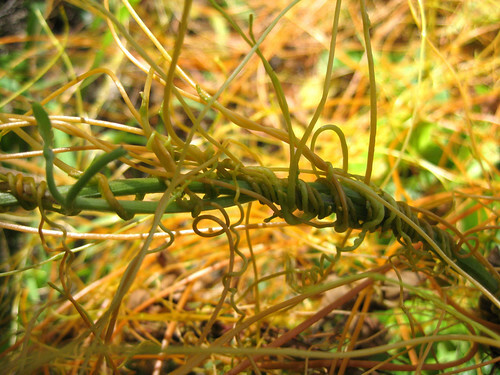 Dodder vines are a fascinating example of plant parasitism. 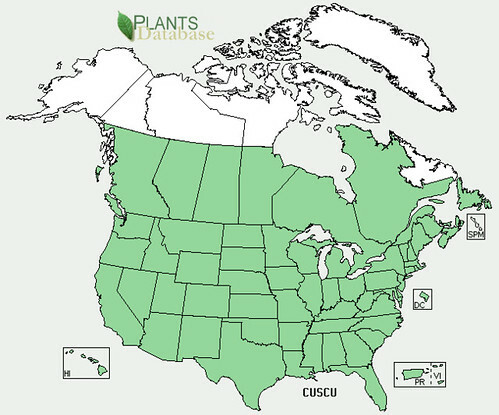 They contain only minimal amounts of chlorophyl and survive by sucking all their necessary nutrients from host plants. 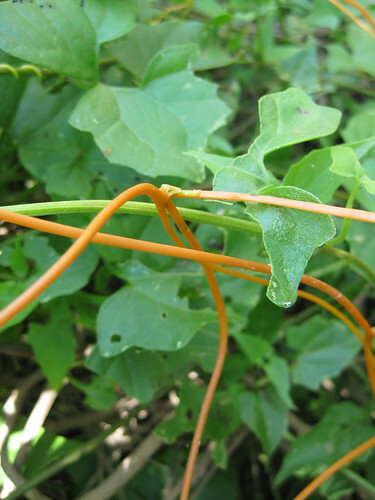 Chemical receptors on the dodder vine allow it to "smell" he presence of preferred host plants, causing the dodder to grow towards it's host like a slow, orange plant vampire. In light of dodder's orange color it should not be surprising that it contains B-carotene and other carotenoids. This makes it a good nibble for your eyes...though ingesting it via the mouth is the better method. Trying to eat something with you eyes usually ends badly. Sorry, I couldn't resist. I've been working too hard lately. 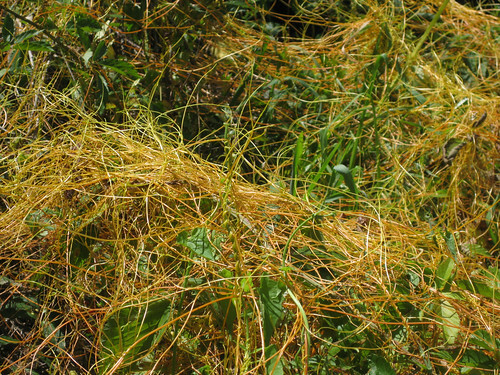 Dodder seeds supposedly have medicinal properties according to Chinese and Japanese herbal lore. Seeds from the Asian dodder Cuscuta japonica are used as an anti-aging drug, reversing many of the common weaknesses brought on in old age, especially for men. Western medicines have not confirmed any of these effects. Link to scientific paper about dodder carotenoids. 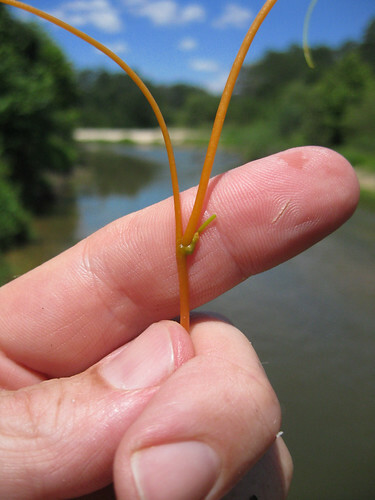 Because dodder absorbs many chemicals from its host plants, it itself can become toxic. Only eat dodder harvested from plants you can positively identify as safe to eat!